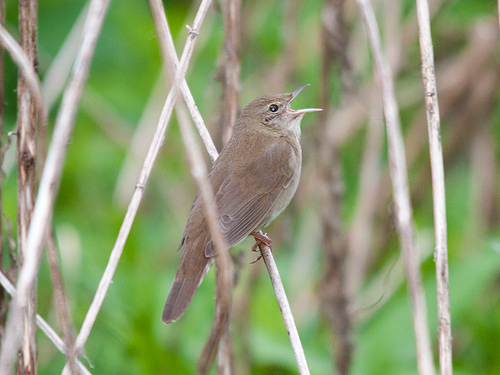 The River Warbler is a small, brown songbird, which lives mainly in eastern Europe. In western Europe it is quite rare. Underneath the tail it has white horizontal stripes.